“Good facilities in a beautiful location directly on a slope with a sea view,” wrote one customer about this cosy holiday home on Tenerife. ​Canary Island | Here we'll show you the accommodation on the Canary Island, which has received the best reviews from our customers. 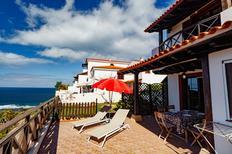 View of the little village of Espinaredo, where you will find a cosy holiday home for up to six people. ​Picos de Europa | The Picos de Europa mountains rise up in the north of Spain. 200 peaks soar to a height of over 2,000 metres here. Idyllic villages wait to be discovered in the valleys that lie between them. 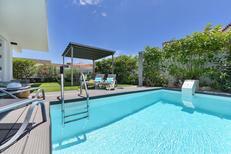 Holiday apartment for 4 people at the Costa del Sol. A holiday house on Gran Canaria costs on average USD 1,169 in the cheap travel period and USD 1,756 in the peak season per week. These details are of course in relation to the house and not per person as well as includes the obligatory additional charges. Gran Canaria is one of the largest islands in the Canary Islands. 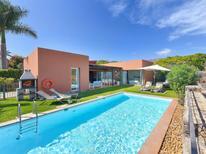 With a variety of beaches it is a great destination for holiday rentals. Visitors that rent holiday houses on Gran Canaria will discover some fantastic landscapes, museums and interesting cities. Visitors that rent holiday apartments in Gran Canaria flock to its beaches such as Playa Blanca. Those that book holiday houses in Gran Canaria can visit a few of the dozens of beaches scattered along its coastline. The largest of Gran Canaria's beaches is Maspalomas which has golden sands, and a lighthouse which rises about 55 meters high. The beach is beside an enormous expanse of sand dunes which is the western edge of the Sahara Desert. Visitors with holiday houses in Gran Canaria can also visit beaches such as Amadores, Anfi del Mar, Las Canteras and Montaña de Arena. 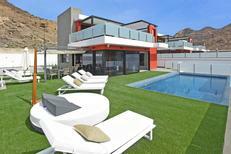 Holiday apartments in Gran Canaria put visitors within reach of numerous fantastic landscapes. For example, there is the eighty metre high rock, Roque Nublo at an elevation of 1,813 m. Visitors with holiday rentals in Gran Canaria can take a hike up to the rock from which there are magnificent views of the surrounding landscapes. Those with holiday homes at Las Palmas should visit the intriguing blowout crater of the Bandama Caldera volcano. 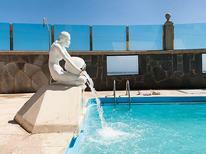 There are also numerous museums that tourists with holiday homes in Gran Canaria can visit. Museums such as the Casa de Colón in Las Palmas and Museo y Parque Arqueológico Cueva Pintada which includes a collection of archaeological artefacts. 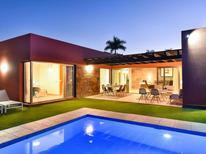 Visitors that take vacation in a holiday home in Gran Canaria can visit a number of those destinations on their holidays. 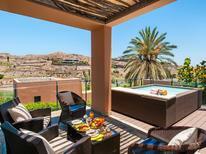 Gran Canaria offers tourists pristine golden beaches and fantastic landscapes.